We’ll start with the short-term outlook, which is a bit rough: The cost of diesel is averaging about $2.58 this month, which is noticeably higher over last year. During the week of January 18th in 2017, diesel averaged 47 cents lower per gallon across the U.S., at $2.11 per gallon, according to the U.S. Energy Information Administration (EIA). The price continued to drop through February, hitting $1.98 per gallon midway through the month. But that was the lowest point the fuel reached all year. After February, the cost of diesel saw a steady rise, hitting $2.43 per gallon in mid-June, then backing off slightly for a short period of time and dipping a bit in the fall only to rise again. By the end of the year, diesel was $2.58 per gallon. The Wall Street Journal noted that diesel prices have risen 10% in the futures market since late November, when the Organization of the Petroleum Exporting Companies (OPEC) agreed to cut oil production. 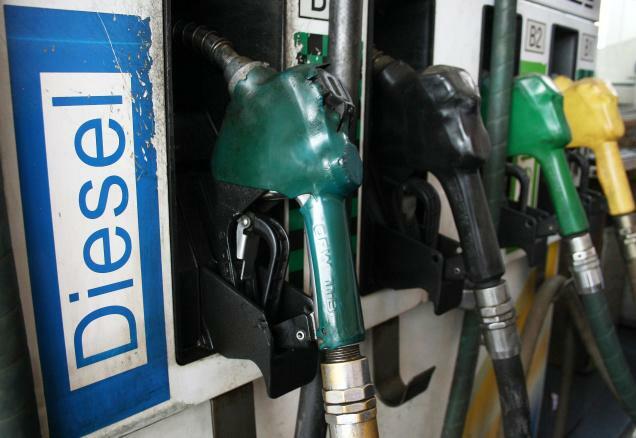 The group’s decisions impact the market, making the landmark deal a factor in diesel’s now 14th-month high. But if we scale back and look at where prices have been over the past few years -- even over a five-year period -- the situation isn’t dire. And those who have held down any number of trucking jobs over at least a 10-year period will remember feeling pangs at the pump in 2008, when diesel was $4.76 per gallon. Diesel was on a steady decline in costs between 2014 and 2016, which helped trucking companies’ overhead. Fuel can eat up an average of anywhere between 30% to 40% of a fleet’s budget; the WSJ reported fuel made up only 25% of fleets’ overall expenses in 2015. The EIA reports that the regions with the highest diesel prices are the West Coast and Mid-Atlantic -- and not just currently, but consistently. Pennsylvania’s gas prices are uniquely high compared to the rest of the country -- one reason being the state has the highest gas taxes. California is the state ranking the highest for diesel prices. The Gulf Coast, which includes New Mexico and Texas through Alabama, is the region with the lowest diesel price per gallon at about $2.43. State taxes are only one factor that go into the varying range of diesel costs per state, though those cents can be a weighty line item when considering purchasing fuel in California. Alaska has the lowest state tax on diesel at 37.2 cents per gallon -- though these savings can easily be eaten by the precautions taken driving through hazardous weather conditions and terrain in the state. Crude oil prices are another reason for differing prices; according to RTS Financial, a firm that deals with accounts receivable for the transportation industry, the cost of diesel is cheaper in Wyoming and North Dakota, which experienced an oil drilling boom, but pricier along the coasts, where it must be transported. In the Northeast and on the West Coast, many refineries look abroad for their crude oil sources, RTS Financial says, which can account for the noted bump in diesel’s cost per gallon. Emissions standards are another factor: to meet cleaner-burning standards, U.S. refineries must produce more blends of gas, and this drives up a refinery’s operating costs, which are leveraged by being passed on to the consumer. Areas with lower emissions restrictions will have lower gas costs; Charleston, S.C. ranks among those low-emission cities, while cities like Chicago have some of the highest standards for emissions. Finally, supply and demand will also affect the cost of diesel by state, which considers everything from refinery maintenance to consumer traveling trends. Gas prices will change to reflect the height of the summer travel season and lower levels of people migration during the winter months. The EIA projects the cost of diesel per gallon will rise to $2.73 for 2017, which is keeping with the trend of lower prices if you’re still looking at the big picture over the last five years to pendulum decade. According to the WSJ, truckers aren’t sweating the price hikes yet, and there are ways to ease the pain of these hikes. When diesel prices are high, some of the cost burden can be weathered by a fuel surcharge. This is negotiated between trucking and transportation companies and shippers privately; different companies can have different ways of calculating what the surcharge should be. Hedging is also an option for trucking companies who are wary of rising diesel prices and want to safeguard their overhead. A company can set up a program to lock in the price they pay for diesel in advance. This works when prices fall as it sets up a buffer for companies for when prices rise, but companies risk losing money when diesel prices fall and they’re stuck with a higher locked-in rate. Companies can hedge out their prices several years in advance, or stick to the shorter-term of stocking up on fuel for as little as one month ahead. It depends on how closely trucking companies are watching costs per gallon, fleets’ individual budgeting strategy, and how much administrative energy they want to spend on buying, selling, and watching the markets as they fluctuate. Fuel-efficiency for trucks and cutting back air pollution from hefty vehicles has been a target goal of the White House; heavy-duty trucks and buses accounted for 23% of greenhouse gases from U.S. transportation in 2010, according to a 2014 report from the White House. In 2011, President Obama released a plan to double the fuel economy standards of light-duty trucks by 2025. The numbers add up to a projected thousands of dollars in savings for truckers every year. Standards for larger trucks looked to save gallons of oil by 2018 for every 100 miles traveled: a one-gallon cut-back for heavy-duty pickup trucks and vocational vehicles -- like delivery and garbage trucks -- and a four-gallon cut-back for combination or semi-trucks. The program to manufacture more fuel-efficient trucks aimed to offset truckers’ costs by $73,000 in savings at the pump over a truck’s lifetime. The target goal to produce these vehicles, which now falls within a year, would be good news for keeping fuel overhead low for truckers -- and for cutting greenhouse gases of large commercial vehicles between 10% to 20%. These fuel-efficiency standards were further cemented last August, when the government put phase 2 of the program into motion. Trucking companies have taken notice and their efforts reflect the plan, semi-truck models that have been released within the last two years from Peterbuilt, Kenworth and Volvo among other companies push to reach these goals originally set in 2011. Many companies tout these later-model vehicles that are included with the trucking jobs they offer, with more modern fleets often incorporating both technology-based incentives and later-model equipment. Manufacturers have united under the banner of governmental challenge to improve features like miles-per-gallon and aerodynamics. Cummins, for example, reported last fall it would reunite with Peterbuilt to work on the sequel to their original Supertruck, or a Supertruck II. And they’re not the only Class 8 truck working to accomplish these goals. Daimler’s 2017 Freightliner Cascadia tauts8% improvement in fuel efficiency over its Cascadia Evolution model. The EIA breaks down the cost per gallon of diesel above: 21% goes to taxes, 21% to distribution and marketing, 15% to refining, and 44% to crude oil. Most of the crude oil produced in the U.S. is also refined stateside. Total state and federal taxes of diesel amount to $55.41 per gallon, according to the American Petroleum Institute (API). Energy advisor Mercatus offers a short, detailed guide for fleets interested in hedging. A buyer interested in purchasing fuel will meet a seller to form a contract on the futures exchange, such as CME/NYMEX or ICE, which promote themselves as markets for “risk management.” The focus of these contracts are three types of oil: Ultra-low sulfur diesel (ULSD), RBOB gasoline, and gasoil. A fleet looking to hedge their fuel might look at the recent trends of rising fuel prices over the last month and decide to lock in the rate at the end of any particular market day, and get thousands of gallons of February fuel at January’s per-gallon cost. The market rules of selling also apply here, and if fuel prices begin to decline after you’ve made the purchase and you want to cut your losses, you can sell your futures contract. Mercatus notes that hedging with a futures contract can be tricky with many factors to consider (the rate at which you use the fuel being just one). Another hedging strategy is a swap, which may better ease the risk for trucking companies. While futures contracts expire on a specific day of the month, swaps look at the average price of fuel over a month and settle based on that.